Going GFCF is gaining popularity quickly lately (with good reason) but few people seem to really understand “how” to start a GFCF diet, and how to do it properly. So, I’m going to break it down, starting with going dairy free. My 3 kids and I have been doing GFCF for about 6 years. We also do the Feingold diet so the foods I have listed are also free of dyes, artificial flavors, and certain preservatives. If you are a member of Feingold, double check your Feingold shopping guide. We do some products not officially approved, mostly because the companies refuse to work with Feingold. GFCF stands for gluten and casein free. Some people say GFDF, for gluten and dairy free but the more common terminology if you’re searching for more info or recipes is GFCF. Don’t get confused with the lactose or casein part. You want to avoid all forms of dairy. I did a post on Why We Started a GFCF Diet a few years ago. I also did a post entitled, Changes We Saw on GFCF. But I’ve never done one on how to actually do the diet and what foods to sub. I’ve seen so many people do the diet wrong and never see the full benefits of going GFCF. So, to begin with, most people start with removing dairy first. It only takes a few days for dairy to leave your system, so if dairy is a problem for you, you should see some relief in symptoms relatively quickly. Gluten on the other hand can take up to 6 months or longer to leave your system and if you’re cheating here and there, it’s going to take longer. Many people ask, will I experience detox when starting a GFCF diet? Yes! Yes, you will. Which is another reason why some people start with removing just dairy first, and then move on to gluten a little later. Did we do it that way? No. I’m a bit of an overachiever. I read Jenny McCarthy’s book, Louder ThanWords in one night. I learned how the GFCF diet helped her son with his symptoms of autism and how it put a hault to his seizures. My son had just suffered his second grand mal febrile seizure in 4 months (at the age of 16 months) and I suspected my daughter had autism. If a GFCF diet might help them, I was all in. We started the GFCF diet cold turkey the next day with whatever we had in the house. My son was still sick (before going GFCF he would get very high fevers for about 5 days straight) so I couldn’t get out to Whole Foods. We made do with what we had. I noticed improvements right away. (See post above.) But, I was still nursing my son and I had not cut out gluten and dairy yet myself. I quickly noticed that whenever I ate gluten and dairy, he was having reactions. Though he did not have any more grand mal seizures (not for a couple years anyway when we tried to test back in gluten and dairy), he still had smaller absence or myoclonic seizures, either when he was waking from a nap (absence seizures) or right after he fell asleep at night (myoclonic). He would suddenly jerk and shake his fists in the air. I would hold his arms down and a little bit later he would do it again. He could do this several times without waking, usually during the first hour after he fell asleep. I spent many sleepless nights laying in his bed with him until his seizures stopped, afraid he would have another grand mal seizure as he slept. So, I decided I needed to cut out gluten and dairy completely as well, as long as I was still nursing him. When I did, these smaller seizures stopped. Moral of the story: If you are nursing and you feel your child needs to go GFCF, you will need to too. 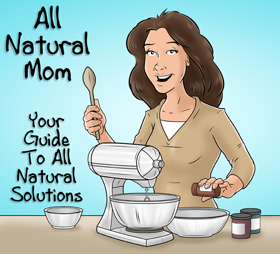 Gluten and dairy absolutely passes through the breast milk. You will be fighting a losing battle if you go through all the trouble of putting your child on a GFCF diet if you don’t do the diet as well. This goes for any food you don’t want your child to eat. I learned that the hard way. So what did I do? I did GFCF 100% cold turkey for 6 weeks…then I weaned him! Doing GFCF 100% is hard. Wimpy people need not attempt. OK this is just my opinion but I’m standing by it. 🙂 I found it was so much easier to make my kids do GFCF than it was to do it myself! I felt so deprived and hungry! And no one was cooking my meals and handing them to me! This was in the beginning though when I had very little knowledge of how to start a GFCF diet, what products were best, and how to cook and bake with GFCF ingredients. I just jumped right in and figured it out along the way, making a lot of mistakes. But, I learned. I did a TON of reading. Today, it is much easier to stick to a GFCF diet (at least when eating at home). If you are only attempting to do dairy free only or just gluten free, that’s a little easier too. So many restaurants have gluten free options, but finding a restaurant that serves both gluten and dairy free food is a challenge. I learned much of what I know on the GFCF Diet for Kids Yahoo Group. This yahoo group stems from the web site, http://www.gfcfdiet.com, another good resource. I also learned about biomed (treating autism and other related issues via tests, supplements, and diet) on this group as well, as many of the people on this group had kids with autism. We started the GFCF diet around 2008 when the group was much more active. For some reason, activity is way down in the last couple of years but you can still search through past archives. Check Facebook for GFCF groups there as well. The point is, you will need help and support to do this diet properly. At the very least, find someone who does gluten or dairy free so you can pick their brains. 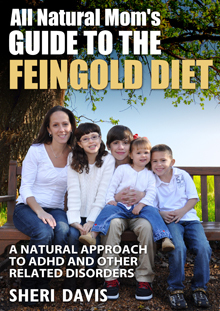 TACA (Talk About Curing Autism Now) also has some good reading material and steps on how to start a GFCF diet. Skip any info from Autism Speaks in my opinion. This organization does not support biomed to treat autism. The organization infuriates many biomed parents who have kids with autism because of how they handle funding and how they address the causes of autism in the media. Anyways, back to dairy. If you read my other two posts on GFCF, you can see why we decided to start GFCF and what changes we saw. If you’re considering going gluten or dairy free, you’ve probably already determined why you want to try it. Dairy affects people in different ways but if I hear people complain of certain ailments, the first thing that comes to mind is that they might have issues with dairy. Those being: constant runny nose or allergies/sinuses, headaches (though there are also a lot of other reasons for headaches but I believe a change in diet would alleviate most people’s headaches), congestion, digestive issues (either loose stools or constipation though diarrhea is more common from dairy and constipation from gluten), dark circles under the eyes or puffy eyes (can also be from gluten), and several more. For babies or toddlers: runny, watery, or “goopy” eyes, red, swollen/puffy eyes or dark circles under the eyes, repeated ear infections, upset stomach, colic, digestive issues (either loose stools or constipated), eczema or rashes, constant runny nose, congestion, and/or constantly sick. Also, it’s common to crave whatever you are “allergic” to. So, if you have a kid who absolutely loves milk and has many of the symptoms above, they may have an issue with dairy. In our family, dairy causes headaches and migraines. I didn’t figure this out till I was about 30. I suffered from migraines since I was about 8 years old. In high school, I would get a migraine about once a week and they would last a couple days. If I went two weeks without a headache, I was ecstatic. Migraines are now a thing of the past (unless I binge on dairy). My oldest son got ear infections from dairy for 4 months straight from the day I started him on milk at 12 months until he was 16 months when I took him off milk. We did not remove all dairy though, just regular milk. Read my post, Got Milk? Got Ear Infections? for more details on that. For my three younger kids, dairy causes loose stools, upset stomach, headaches (almost always the next day or two days after eating dairy or gluten), runny noses, much more susceptible to getting sick, (especially colds), dark circles under the eyes, as well as an opiate reaction due to leaky gut syndrome. Meaning, they will get very hyper/giddy when they eat gluten or dairy. Then when they don’t get gluten or dairy the next day, they go into withdrawal and are extremely moody, irritable, and hungry. For me, I’ll get a headache about 2-4 days after eating dairy. I’m not sure why the delay! My son is the same way. His are almost always 2 days after eating dairy. For both of us, we don’t always get a headache. There’s usually about a 75% chance we’ll get a headache from eating dairy and it depends how much we eat too. Ice cream is a given and neither of us drink straight milk. So if you’re going to start a dairy free diet, what are going to be your main staples? Below are some of our favorites. There are many to choose from. We first switched to Pacific regular rice milk. I get these at Woodman’s for $2.19 a box. Whole Foods or your local health store may have it too, or check the natural sections of your local grocery store. I’ve also ordered it on Amazon. I have about 20 boxes of rice milk in my pantry right now. My boys like the rice milk the best and it works best in baking. They just use it for their cereal. None of us drink it straight. Although they did a little bit as toddlers when I first weaned them. We used to use Rice Dream rice milk but it contains a small amount of gluten. Not listed on the packaging but if you call them, they will admit how much gluten is in it. They feel it is small enough that they can claim it is gluten free. It’s not. So if you also want to avoid gluten, you’ll want to avoid Rice Dream products including their ice cream. 🙁 Trader Joe’s rice milk is just Rice Dream repackaged so you’ll want to avoid those as well. Pacific is the only rice milk I know of that is Feingold approved and GFCF. Costco sells an organic rice milk but I contacted them and they admitted that their supplier adds BHT to preserve the vitamin A palmitate in it. 🙁 Boo. My daughters like So Delicious regular coconut milk the best. It does not have a strong coconut taste to it but doesn’t work well as a milk sub in recipes. I prefer the taste of rice milk for that. Most dairy free milks are not refrigerated, although they do have some that are. Rice milk feeds yeast so I prefer my kids have coconut milk but my boys won’t use it. We use this to make smoothies too. They make cans of coconut milk as well. It’s not what you would use on your cereal.This is more used for recipes like soups if you wanted to make something thicker. There’s a recipe for making homemade whip cream using canned coconut milk. So Delicious also has creamer for coffee. We just tried out their Mint Chocolate milk and Nog. My daughter loved the chocolate mint. She didn’t care for the Nog but others love it. Then my youngest likes chocolate almond milk too sometimes to drink. This is Feingold stage two and almost all almond milks contain soy (in the vitamin E/tocopherols) and we avoid soy. We’ve also tried the vanilla Pacific rice milk too when my kids were toddlers. They seemed to like it. It was sweeter but I switched them over to regular rice milk as soon as possible because I didn’t like them getting used to drinking something so sweet. We’ve done the chocolate flavored rice and coconut milks but we try to just stick to plain. My two younger kids drink watered down lemonade (Simply Lemonade) or water and we supplement with calcium, magnesium, vitamin D, and a few other things. We’ll be adding in vitamin K soon too. See my post here on supplements if you want to know what brands we use. My oldest two drink only water all day. When my younger ones can swallow pills, I’ll try to get them on water only. Right now, I add a lot of vitamins to their juice that I wouldn’t be able to add to water. See my post on Supplements for Kids Who Can’t Swallow Pills. Don’t worry about them “needing” milk. They really don’t. It’s a marketing ploy by dairy manufacturers. They can get their vitamins from veggies, fruits, and other foods and supplements. The bad thing about dairy free products (and some dairy products) including almost all non-dairy milks is that most contain carrageenan. However, So Delicious is supposed to be taking this out of their products beginning in the fall of 2014. Yay! They’ve already taken it out of the dairy free ice cream bars. I think carrageenan gives my two younger kids an upset stomach sometimes. It is known to cause intestinal problems. Read more about carrageenan here. Update: I just got some So Delicious coconut milk and it does not have carrageenan in it! I’m thinking they had to phase out the remaining stock first before the new stuff arrived in stores. When I switched my younger son to rice milk when I weaned him around 18 months, he started waking up at night. He’d also toss and turn all night, and sometimes lay on his stomach with his legs hanging off the bed. It seemed like his stomach was hurting him. He only did this when he had rice milk. I knew it wasn’t the rice because he did fine with other rice products. When I read about carrageenan many years later, I put two and two together. I had stopped giving him rice milk way back then, and he stopped waking up with stomachaches. My youngest daughter also complains of a stomachache whenever she eats dairy free ice cream that has carrageenan in it. When she doesn’t have it, she doesn’t complain of a stomachache. I just got some So Delicious ice cream bars and they do not contain any carrageenan. Yay! No stomachaches so far so my theory is correct. Your other non-dairy milk options are hemp milk – very healthy but not so tasty. My kids hated it. There’s oat milk. We’ve never tried that. Oats often contain gluten so if you avoid gluten, make sure it says gluten free. There’s cashew milk. We’ve not tried that. Then there’s soy milk. Avoid it. There are plenty of other better options. Soy is a hormone disruptor. It contains phytoestrogen which mimics estrogen in the body. A baby drinking all soy formula is getting the equivalent of 4 birth control pills a day. Kids who had issues with milk and were put on a soy based formula often later went through puberty very early. Most soy in the U.S. is also GMO (genetically modified) and heavily sprayed with pesticides and herbicides. And about half of the people who have issues with dairy, will also have issues with soy as it is very similar to dairy. The soy they eat in Asian countries is fermented which is much different (and healthier) than the soy we have here in America which is not fermented. Read more about soy here. We also try to avoid soy in whatever we’re eating as well. Soy often causes behavioral issues in kids which makes sense since it’s like giving your kids hormones. My kids get very aggressive and/or weepy/whiny from soy. Most people who do GFCF also avoid soy. However, there are SO many dairy free products that contain soy so if you are just starting out and trying to avoid dairy, you can leave soy in for now if you want (aside from soy milk). You will have more options available to you. Then later you can think about taking out soy as well. And worth noting, some people do OK with soy lecithin, but not with any other form of soy. If you go dairy free, you also need to avoid butter. We used to use ghee, which is clarified butter without dairy because that was the only non-dairy butter out there. It has a sweet taste to it. Some people make their own ghee from regular butter. Something about cooking it till the fat rises to the top. There’s a lot of cross contamination issues with it though so I was very happy when Earth Balance came on the market. We only use ghee now for certain recipes like garlic lime chicken. If I use Earth Balance butter, it splatters everywhere. A few years ago, Earth Balance came out with a soy free buttery spread. Yay! We use this all the time. They make a few different versions. We get the soy free version in the red tub. I get it at Whole Foods or my health food store (Fruitful Yield here in Chicago). Trader Joe’s has some, but they never have the soy free version for some reason. The Earth Balance does not work very well as a butter sub in most recipes however. I found this out through trial and error but I had a GFCF chef tell me the same thing. When subbing butter in a recipe, like in GFCF brownies, I usually use palm oil shortening instead. I order it online from Tropical Traditions. Spectrum also makes a GF shortening but the palm oil is healthier and the Spectrum has soy cross contamination issues. Otherwise, look for recipes that are already GFCF so you don’t have to worry about subs. We use Earth Balance butter for toast, popcorn, veggies, some recipes (where the butter does not need to be heated up), for greasing the pan for grilled cheeses or pancakes, etc. 3. Cheese. An amazing thing happened a few years ago – the introduction of Daiya non-dairy cheese! Hooray! You can find it at Whole Foods, Woodman’s, and health food stores. While it’s not the tastiest cheese on the planet, if you’ve been avoiding regular cheese for a while, it’s a nice substitute to have. My daughter loves it. We use it for grilled cheese, omelets, tacos, chili, bacon and cheese potatoes, and macaroni and cheese. They also have a mozzarella style Daiya cheese. We use it to make homemade GFCF pizza and my daughter puts it on her spaghetti sometimes. Now in addition to the cheese shreds, they have a block of cheese and cheese slices. My daughter likes the block the best for some reason. It does melt better for her omelets and grilled cheese’s. When cooking with this cheese, it takes a while for the cheese to melt. When I make omelets or grilled cheese, I turn the flame off and put a glass/ceramic plate over the pan and let it sit for 5-7 minutes so the cheese can melt more. Daiya also makes a cream cheese but we haven’t tried it yet. Seems like Daiya just keeps coming out with more and more dairy free products. Besides Daiya, there’s a couple other non-dairy cheeses I’ve seen at Whole Foods, but watch as some of them contain soy or casein. Daiya does not contain soy. There’s Follow Your Heart Vegan Gourmet cheese. We used to buy this but I can only find it at Whole Foods and my daughter likes the Daiya so we just stick with that. Read the labels though. There’s one brand of “dairy free” cheese that is lactose free, but has casein listed right on the label. Daiya is not Feingold approved because they will not tell Feingold what is in their natural flavors. I contacted them and I feel they are OK to use. We use them without a problem, as do many Feingold members. Read more about that here. You can use Daiya cheese to make homemade mac-n-cheese but don’t try this right away! Your kids will not like it. It’s not like the mac-n-cheese they’re used to. There’s another recipe that uses nutritional yeast as the “cheese.” We haven’t tried that one yet. Amy’s makes a dairy free mac-n-cheese that is OK. My kids will eat it. We get the one that is GFCF and soy free. I’ve seen it at Meijer, otherwise Whole Foods will have it or Woodman’s or your health food store. And then my mom just told me about a new cheese that just came out called Heidi-Ho. She saw it on Shark Tank in November. They are planning a nationwide launch in March, 2015, and will be in Whole Foods stores. Can’t wait to try them out. So Delicious makes several flavors that are pretty good. They do have a slight coconut taste to them. My daughter loved the vanilla for a while. She liked it in a cone. I like the almond mocha fudge. The chocolate peanut butter is good too. They make a lot of chocolate ice cream bars that my kids and I like. Rice Dream makes some that are good but all Rice Dream products contain a small amount of gluten. 🙁 My kids love this strawberry one but I don’t buy it often. My daughter always complains of a stomachache when she eats it. Either from the gluten or the carrageenan. Probably both. I can only find it at Woodman’s. Larry and Luna has a dairy free brand (Coconut Bliss) but it contains agave and we try to avoid agave (similar to corn syrup) so we haven’t tried it. We use Soyatoo Rice Whip. It’s expensive. About $5.99 for a small can. Make sure you run this under warm water before trying to use and shake well. Otherwise, you’ll just waste the nitrous oxide needed to get the whip cream out. We use this on pancakes mostly. Sometimes on ice cream. It’s pretty good. Follow Your Heart makes a dairy free and soy free mayo called Vegenaise. I get it at Whole Foods or my health food store. I’ve made homemade egg free mayo using cashews before. My daughter liked it but it didn’t last very long in the fridge so wasn’t worth my time to make it a lot. My daughter uses mayo in tuna, and to dip her carrots and celery in. We don’t care for any of the dairy free yogurts but So Delicious sells some. They have a very sour taste to them. And they contain the strep strain in the probiotics so if you have a kid with PANDAS you’ll want to stay away from this yogurt as it could cause a flare up. You can get these at Whole Foods, Woodman’s, or your health food store. We don’t look at snacks the same way anymore. Instead of looking in the pantry, my kids look in the freezer for a snack. I make a lot of GFCF muffins, cookies, granola bars, cereal bars, cupcakes, pancakes, soups, etc. But there are some more typical snacks. For recipes, check out my recipe blog, www.feingoldrecipes.blogspot.com. On the left, you can click on the link for “GFCF Recipes.” There are currently 90 recipes. Or my pinterest boards. I haven’t separated out GFCF recipes on Pinterest yet, but will soon. Right now, I have them categorized by Feingold stage one and stage two but many are GFCF. Here is a link to my Pinterest board where I list out the GFCF foods that we like. I’m still adding to this. I also post pictures of our food on Instagram @ allnaturalmom4. I note if it is GFCF. There’s chocolate pudding. We like this one. It uses almond milk instead of soy. My kids get a little hyper from these so we don’t do them very often but these are good. Kind of like a GFCF cheeto. They use nutritional yeast to give it a cheesy flavor. Some kids get hyper/aggressive from Tings. My kids used to but lately it’s the only snack my son will eat in his lunch. So far so good. He hasn’t been getting into trouble at school and gets good grades so I’ll let it run it’s course. My kids are famous (to me!) 🙂 for loving one food for a few months, and then all of sudden, not liking it at all anymore. I like these too so I’ll eat the leftover bags when he stops liking them. I think Tings may have some gluten cross contamination issues because I get gluten reactions from eating them. We do popcorn a lot. I make popcorn in a whirly pop style popper that I got on www.overstock.com. We add 3 TB of coconut oil and 1/2 cup of organic kernels. We top with Earth Balance butter. We just found some new dairy free cheese popcorn that my kids really like. It’s by Earth Balance and I can only find them at Whole Foods. I likely contain MSG though hidden in the yeast extract. They are newer so haven’t been researched by Feingold yet. They like the corn puffs as well. There’s corn chips like Tostitos, Fritos, Xochitl, Late July, etc. I’ll list out some more snacks in my next post on going gluten free but for the most part, my kids don’t eat a whole lot of snacks. They eat more like 4 meals a day instead of 3. Enjoy Life makes a large line of GFCF cookies. Some are soft like the Snickerdoodles. The bigger ones are crunchy like the sugar cookies. My kids like them. They go stale quick so make sure you keep them in a large zip lock bag after opening. I like these protein bars (and so do my kids) but they contain soy. I order them on Amazon, or get at my health food store. You can make your own pizza using Daiya mozzarella cheese, or just forego the cheese and add lots of toppings instead. With dairy free cheese, less is more. You don’t need a lot of it or it tastes gross. We use a pizza crust mix from Namaste for the crust and I make homemade pizza sauce, or you can buy an approved one. Daiya just came out with a new pizza that is pre-made that you just throw in the oven. It’s pretty good but expensive. About $8.99 for a pretty small pizza. Feeds about 2 people, if that. I get them at Woodman’s. Very important! 🙂 Well, if you have kids it is. We use Enjoy Life dairy free chocolate chips. Super Target has them, or Woodman’s, or Whole Foods. Some grocery stores may have them in their natural sections. We make all kinds of treats from these. Chocolate candy molds, chocolate lollipops, chocolate covered…potato chips, marshmallows, strawberries, “Oreos”, cherries, almonds, peanuts, popcorn, pretzels…you name it. See recipe for chocolate candy here. I make these and keep them in the freezer or fridge for when we need them for a party or a special treat. I have a Pinterest board for Feingold candy and gum but not all are GFCF. Surf Sweet has a big line of gummies – gummy worms, gummy bears, jelly beans, etc. Goody Good Stuff makes a line of gummies as well, but they contain corn syrup. Yum Earth makes suckers. Those will be the main dairy type foods you will need to sub. For meals, just look for dairy free recipes, or use the above subs. In recipes, I sub rice milk for milk, and palm oil shortening for butter in baked goods. Otherwise, I use Earth Balance soy free butter in things like frosting where it won’t be cooked. I’ll list a few more food subs out in my next post on going gluten free. We’ve never done only dairy free so most of my recipes and products we eat are GFCF. Here are a few recipes that might be helpful when first getting started on a dairy free diet. These are also gluten free. Now, how do you introduce all these new dairy subs? Very slowly! You need your brain to forget what real dairy tastes like. It’s best to just avoid the dairy free subs for a while before switching right over to them. Or if your child drinks milk, start by giving them half regular milk and half rice milk so they can slowly get used to it. Or start out with vanilla or chocolate flavored dairy free milk, then switch to plain eventually. Don’t get hung up on the thought that your kids need milk. They don’t. They can get calcium and other vitamins from other foods or by supplementing. Water is best anyway but we also do Simply Lemonade. For ice cream – we avoided regular ice cream for a while so when I brought out the dairy free ice cream, my kids were just happy to get ANY kind of ice cream and no one complained. Try to think of foods that are naturally dairy free like chicken, meats, rice, veggies, fruits, etc. You’ll likely see withdrawal at first and an increase in negative behaviors. Their bodies will be craving dairy and they’ll likely be very crabby. You can slowly wean off the dairy or do it all at once. It kind of depends why you’re doing it too. I’d say the cravings and withdrawal might last about 2 to 3 weeks, with the first 2-3 days being the worst. After that, it gets much easier. If I or my kids eat dairy after being on a GFCF diet for a while, I will have cravings for the first two days after eating it. Some of this has to do with having leaky guts though. But, the good news is, you should start seeing improvements within 2-3 days as well if you eliminate dairy completely. Sometimes it takes longer but typically, it only takes a few days especially if it’s something like dairy causing bowel control issues. You’ll see that disappear within a few days if dairy is the only cause of it. Constant runny noses, congestion, and puffy eyes should also clear up rather quickly. I’ll do another post on how to start a gluten free diet and our gluten free staple foods. Gluten and dairy sensitivities often go hand in hand. What are your favorite dairy free foods? Leave a comment below! 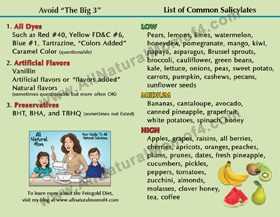 Posted in GFCF Diet and tagged Feingold and GFCF Recipes, GFCF Diet Info. Hi! I am not sure if you still check this site but I wanted to try! I have a 14 year old daughter with 14 food allergies, crohn’s disease and recently diagnosed with tic disorder. I am seriously considering food elimination because the meds are not helping and we feel so helpless. 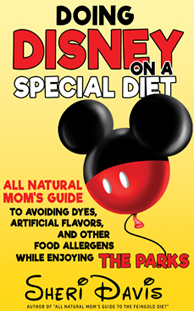 I have been doing a lot of reading about diets I just still do not feel like I know what to do. Please help! My son is allergic to eggs, wheat, peanuts and tree nuts. He is also dairy intolerant and has asthma and eczema. They have been a great help for me.